I've done all the hard work for YOU! No need to TRY to pick a profitable niche... I've done it for you! No need to create a free offer AND opt-in page... I've done it for you! No need to find products to promote that actually MAKE you money... I've done it for you! 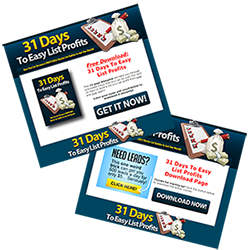 No need to write a series of emails that automate all the selling... I've done it for you! RE: Trying To Create An Online Income - Please Help! You don't have an online business yet and need someone who knows what they are doing to set one up for you and NOT charge you a fortune. You're a smart online business owner who wants something "ready to go" to plug into your business for additional income. No matter which one you are the bottom line here is I've created a complete ready to go affiliate marketing system that you can plugin, add traffic to it, and profit! I'm Liz Tomey and since 2004 I've been making money online in over 22 niches using various types of business models and today I want to give you a business model that has made me money "hand over fist"! Just Something That Actually Works! One of the best businesses you can have online is where you build a list and market products to that list as an affiliate. These are products you don't even have to create yourself or do customer support for! Yes, that's a complete business you could make a serious income using! You send out an email and you make money. Create a free offer that makes people want to get on your list. - If you don't have a great free offer no one will want to signup and get on your list. Create an opt-in page that people visit, and you use "sales copy" to get them on your list. - The free offer is only half the battle. You've got to have great copy that makes them want it or they wont signup to your list. Create a special offer that people can buy after they subscribe so you immediately make money. - You want money immediately, right? The only way to do that is to hit your new subscriber with an offer as soon as they join your list. This works like crazy! Create a download page where people can download your free offer. - This is where some "technical" stuff comes into play, but also some "marketing" know how because you need to setup your download page to also make some money! Create emails that your list gets to get them to like, know, and trust you so that they will actually buy from you. - If you don't build a relationship with your subscribers they will NEVER buy from you. Create emails that promote related products to your list so you make money. - This is where the big money comes in, but if you can't write emails well then your subscribers will never buy from you! Whoa! That's A Lot Of Work! I could go on and on here because there are about 10 other different activities to get this all setup and making you money! It's a lot of work that pays off BIG TIME, but it stops most people because they either don't know how to do it correctly or don't have the time to do it. This is a complete ready to go funnel in the list building niche which is incredibly profitable because so many people want to learn to build their list! You can be their "super hero" by putting them into this funnel, teaching them to build a list of their own, and YOU'LL make money while doing so! If you don't have a free offer that people WANT you'll never get them on your list! That's why I created a complete step-by-step blueprint (72 pages of killer content) that you can give away for free that people will fall over themselves to give you their email to get! You could work weeks creating your own free offer or spend $200-$500 getting it created and MAYBE have something people want or you can have this ready to go in-demand free offer right now that is PROVEN to get people on your list! If youThe other half of the battle to getting people to get on your list is having a PROFESSIONAL looking page that entices them to WANT your free offer. 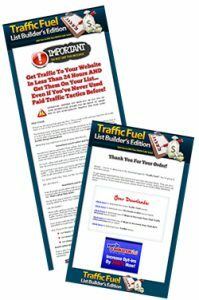 With the "ready to go squeeze system" you'll get a professionally designed squeeze page you can send traffic to and it will actually get that traffic to WANT your free offer and jump right on your list to get it. 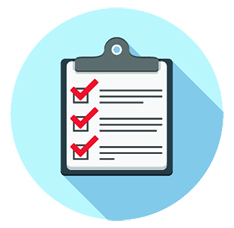 This is the biggest key to successfully building a list! Yes! I'm even giving you the opportunity to make money from your download page! This squeeze page system is easy to setup (I'll show you how to do it) and you can customize it any way that you want! don't have a free offer that people WANT you'll never get them on your list! I've created a special offer that your subscribers see as soon as they join your list. I've tested pricing points and have priced this at the absolutely best pricing point to ensure that YOU'RE making money WHILE building your list! You'll get the entire sales page I've created with all of the bells and whistles, the monetized download page (yes you can make even more money from you download page with built in affiliate offers), and all the "deliverables" totally ready to go. Everything is fully editable and I'll even show you how to set it all up so that it works like a total automated money making machine. Having a special offer that you put in front of people after they subscribe is the ultimate way to get the money coming in when it comes to building your list, and this special offer is so targeted and PROVEN to convert your subscribers into buyers! As you build your list the best way to monetize the people on it is to offer them products that fit their interest. Since this ready to go funnel is all about list building I went out and found the most profitable affiliate programsrelated to list building and organized them into a document for you. Promoting offers to your list is the easiest way to make money because you don't have to have your own products, deal with customer support, or anything else that goes with being a product owner. Want to promote something to your subscribers? Pull this list out, pick a product, and get promoting! I spent hours putting this together and making sure the products were actually SELLING so that you could have a list of guaranteed money makers all ready to go. Ready To Go Relationship Building And Promotional Emails! 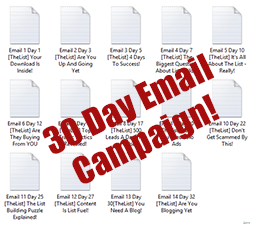 To totally make this an automated system I created a 30 day email campaign that you can add your affiliate links to, load into your autoresponder, and collect commissions from over and over and over again. 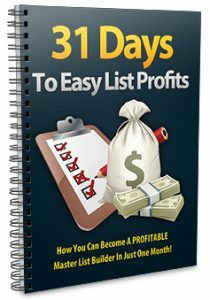 Within this 30 day email campaign I included very informative emails that will automatically build your relationship with your list which is part of getting them to buy from you. You've got to build that like, know, and trust and that's exactly what these emails do! Then I created a few emails each for 5 different products you can be an affiliate for. These emails all entice your subscriber to buy the product through your affiliate link making you big time commissions! This is the "icing on the cake" of this offer, and I'll even show you how to edit these emails with your affiliate links, and load them into your autoresponder. Once this machine is setup there is NO stopping it! It's perfect automated income! Oh! But It Gets Even Better For YOU! 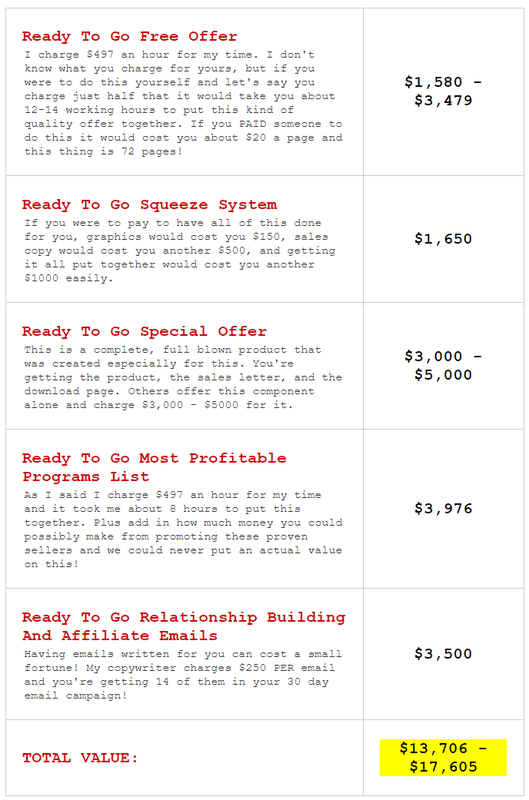 I'm not going to stop at giving you everything you need to set this "ready to go" funnel up. I'm even going to train you to set it up and start making money with it right away! This bonus training and coaching is just more than a few "things" I threw together. They're like getting an entire marketing "how to" education for free! With these amazing bonuses you'll learn everything you need to know to get your funnel up and running and making you money. I'm giving you EVERYTHING here... EVERYTHING you need to have a money making funnel, and EVERYTHING you need to learn to market it so you can get subscribers giving you their money over and over and over again! But... Yep... It gets even better! So I've decided to take all the risk here... Take this entire ready to go funnel, go through the coaching and training, get the help you need from me and at the end if it's just not for you, I'll give you every single penny of your money back! Are You Ready To Have Your Own Money Getting Affiliate Marketing System? I'm giving you every single thing you need to succeed here including coaching with me! 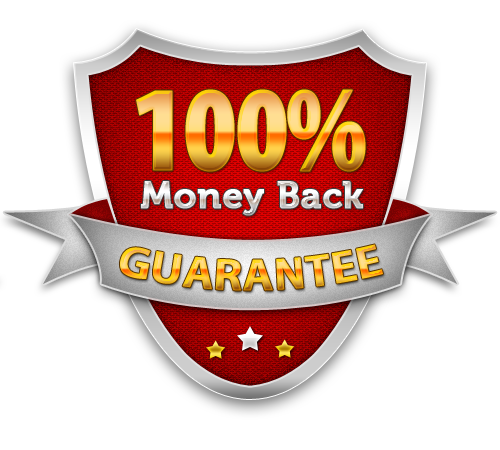 This offer just can not get any better and IS your best chance at having your own autopilot money making funnel that can create a massive income for you. Yes that's a real world value of $13,706 - $17,605 to have all of this put together, but I'm not going to charge you anywhere near that! Not even half of that! Not even a quarter of that! As a special launch price you can get everything here for only a one time payment of $97, but you've got to act before the special launch price expires! Once it expires the price will go back to the original $497 price! Click on the Buy Now! button below to get this special pricing and you can get instant access, follow along with the "Ready To Go In 2 Hours Setup Workshop" you're getting as a bonus, and you can have your very own autopilot affiliate marketing system up and ready to make you money in about 2 hours from right now! Question #1: Liz, Do I need anything else to use what I'm purchasing here? Answer #1: You don't need anything but the normal online business stuff. You'll need a domain name, hosting, and an autoresponder. I explain all of this when I show you how to set everything up and even give you the best recommendations too!